We finished watching Bag of Bones last night. Overall we enjoyed part two which begins with Pierce Brosnan's character, novelist Mike Noon trying to pull a girl drenched with mud and sludge out of a bathtub full of dirty water. When the housekeeper enters, the nightmarish hallucination ends and we're left simply with the tub of filthy water. Explanation: it needed a good scrubbing so the housekeeper had left the tub to soak overnight. I don't know but I've never read that in Hints from Heloise! She did move the story forward by alluding to the fathers who have drowned their daughters, the curse passed down from Sarah Tidwell, a black singer from the 30's who has been haunting Noonan. The movie was full of arch villains - Max Devore was a brutish bully he was a young man, a creepy old controlling powermonger as an old coot (William Shallert). The woman is black, yes head to toe in black, was Devores faithful maniacal sidekick, and yes, the local police officer are his lackeys too. No one will stand up to Devore. Not going to tell you the end in case you end up watching it but I will just say that the film's end was predictably satisfying. The film was comfort food, satisfying and familiar. Sometimes a nice warm bowl of mac and cheese is all you need! 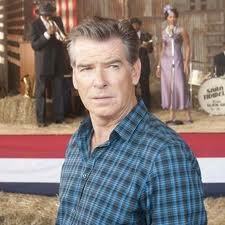 My husband and I both thought Brosnan acted his heart out. Despite the fact that it was a Stephen King horror movie on tv, despite the somewhat occluded storyline, Pierce Brosnan gave it all he had. Every moment he was on screen - which was most of them - he was real, warm, believable and likeable. He carried the film - much of the time he had to talk to himself and he made that convincing too. I could do without all the lipsmacking kisses especially with the much younger Melissa George playing Mattie Devore, but that was the only bit I found distasteful and I expect many of his fans still want to see that. I can understant that, I wish the woman were older, that's all. 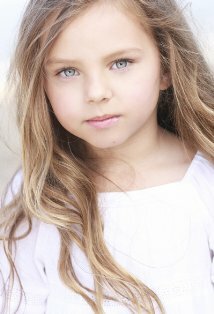 The little girl, Kyra, played by Caitlin Carmichael was a bright note but then again she's a pro. The seven year old has been acting since she was four! She's been in 17 films with five more soon to be released. 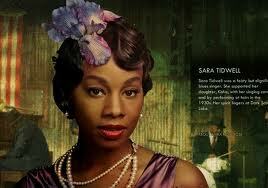 Anika Noni Rose played the 1930's Sarah Tidwell well - she was suitably steamy (she had to tempt those nice white boys with her wicked ways) and her singing was so good, it was understandable that the director gave her songs so much airtime. Pierce was probably thinking "thank God, at least for ten minutes of this four hour movie, I don't have to do a damn thing!" Were his talents wasted? I don't know, but I would like to see him in a suitably challenging role. I wonder, for example, how he would have been as Bill Haydon, the part played by Colin Firth in Tinker, Tailor, Soldier, Spy? Perhaps his upcoming projects, the romantic comedy from Oscar winning director, Susanne Bier, All You Need is Love or The House Gun, based on the novel by Nadine Gordimer will give this gifted actor a chance to flex his muscles. If you want to read what some real critics have to say on the Bag of Bones movie, check out this article in The Hollywood Reporter and for real afficionados you can go to http://www.darkscorestories.com/ to explore the characters!